Among the strong patterns of the post-1980s period in “Western” societies is a mix of economic and political vectors marked by extractive logics. We can find such extractive logics in entities as diverse as mining and Facebook. The rise of such extractive logics is partial, but sufficiently powerful to have altered key features of our economies and societies. For instance, when mass consumption is the shaping sector of our economies (until about the 1980s) even the nastiest corporation wanted the sons and daughters to do better than their parents so they would consume more — and supported government initiatives that transferred money to households directly and indirectly. This began to change with the privatizations, deregulations, and the rise of finance/financialization in the 1980s. One way of putting it is to emphasize the extractive character of leading economic sectors. How did Google make its first billion so fast and so unencumbered by all kinds of traditional constraints? It got information about all of us for free and then sold it to businesses. I want to argue that these are all instances of the rise of extractive logic. I will focus especially on finance and its sharp differences from traditional banking (which was/is basically commerce: it sells something (money) for a price. A second aspect I want to emphasize is the extent to which our major categories of analysis do not help us track the trajectories of that which is expelled. To a large extent these categories were developed at a time when mass consumption was dominant and more and more people and households became part of that mass consumption logic. But since the 1980s this dominance of mass consumption has been weakening and other logics have become dominant. One instance of the latter is the financializing of a rapidly growing range of material and immaterial elements in our political economies. Elsewhere I have developed the notion of expulsions into a category for analysis (Expulsions, Harvard University Press/Belknap). “Predatory Formations Dressed in Wall Street Suits and Algorithmic Math.” Science, Technology & Society 22:1 (2017): 6–20. 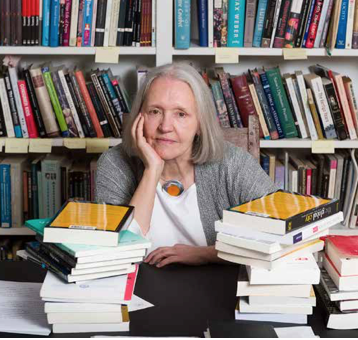 Saskia Sassen is Robert S. Lynd Professor of Sociology at Columbia University, where she is also a Member of the Committee on Global Thought. Her new book is Expulsions: Brutality and Complexity in the Global Economy (Harvard University Press 2014). Recent books are Territory, Authority, Rights: From Medieval to Global Assemblages ( Princeton University Press 2008), A Sociology of Globalization (W.W.Norton 2007), and the 4th fully updated edition of Cities in a World Economy (Sage 2012). Among older books are The Global City (Princeton University Press 1991/2001), and Guests and Aliens (New Press 1999). Her books are translated into over 20 languages. She is the recipient of diverse awards and mentions, including multiple doctor honoris causa, named lectures, and being selected as one of the top global thinkers on diverse lists. Most recently she was awarded the Principe de Asturias 2013 Prize in the Social Sciences and made a member of the Royal Netherlands Academy of Arts and Sciences. Organized by the Program in Critical Theory and co-sponsored by the UC Berkeley Global Urban Humanities Initiative, the Department of Sociology, and the International Consortium of Critical Theory Programs.